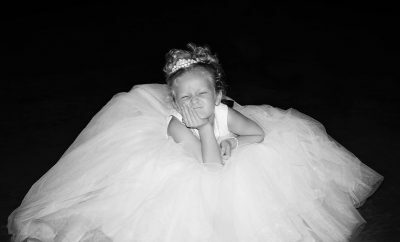 Kelly Given (née Duddy) said that she felt truly blessed on her picture perfect wedding day. 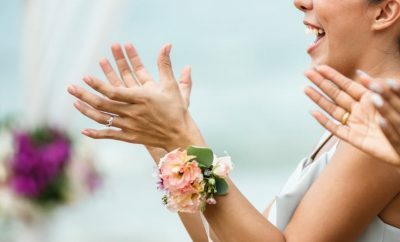 Not only was she marrying a man that encourages her to laugh through the good and bad times, but the glistening spring sun gleamed down throughout the day and her ceremony was amass with personal touches. During a service held in the Church of the Immaculate Conception, Strabane, Kelly and Paul Given were wed by Fr Declan Boland on May 19, 2018. 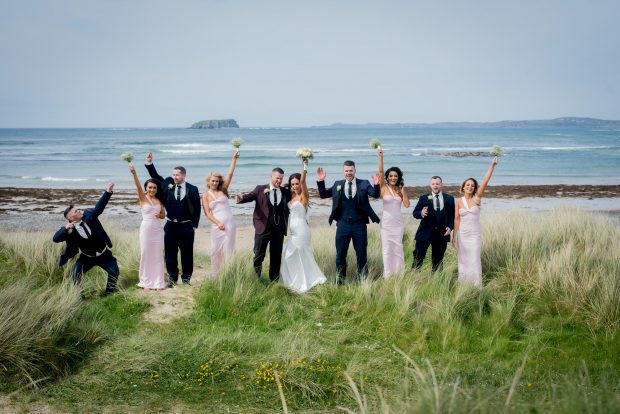 Their wedding reception took place at the Ballyliffin Lodge and Spa – a luxurious venue set in the heart of the Donegal town and renowned for its gorgeous views and top quality food. 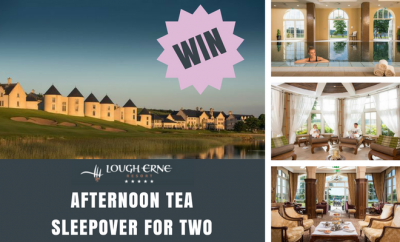 Kelly, manager of Sunshapers in Strabane, first met Paul, a pipe fitter, in the River Club one Sunday night about five years ago. 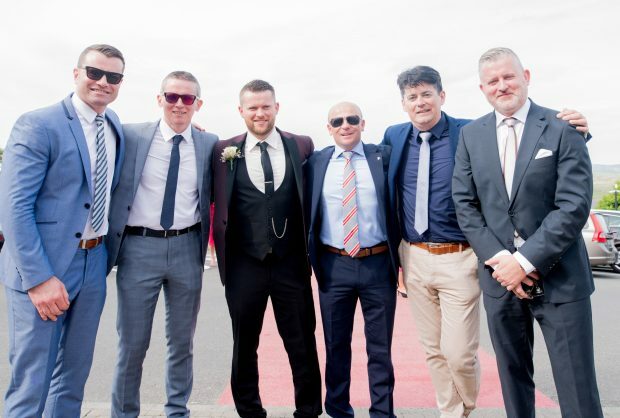 Groom Paul Given with his best man Gary Wilson and groomsmen, Mark Boland, Rory McGlanaghy and James Connolly. 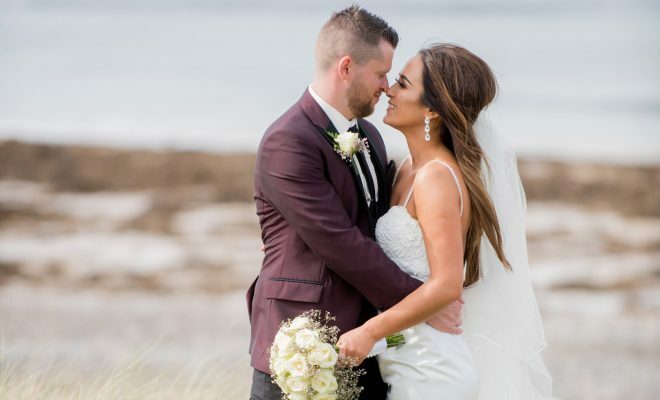 It was July 18, 2016, that the Lifford man asked Kelly for her hand in marriage while on a peaceful stroll across Fanad Beach, Donegal – the place the pair used to visit when they first started dating. The smiling groom Paul Given pictured with family and friends on his wedding day. 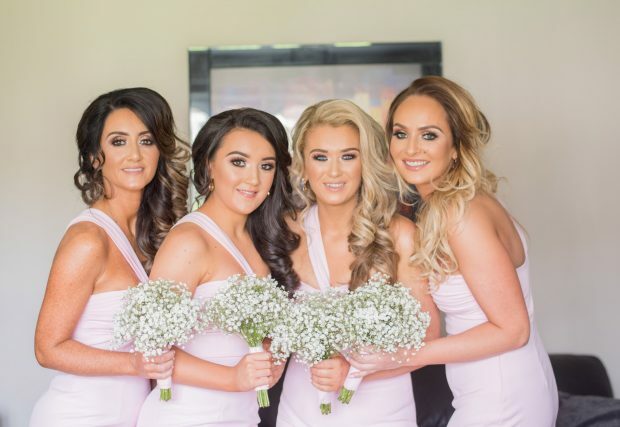 Whisked away to the chapel in a Mercedes, Kelly and Paul enjoyed an easy-going service, full of laughs while the importance of the occasion remained at the fore. “My niece who was bridesmaid, walked down the aisle and then took her seat at the piano and played my entrance song for me,” Kelly described. 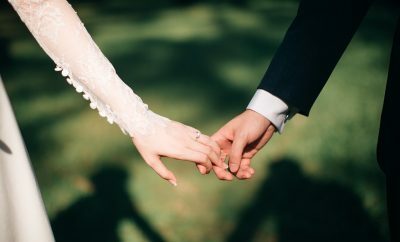 “It was just so special having her do something for me on the biggest day of my life. 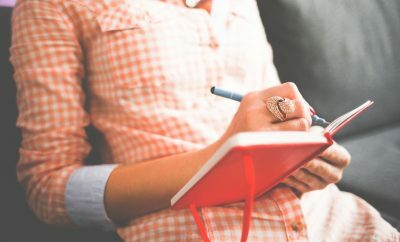 “Also, Paul’s nephew Jude who lives in Newcastle, England was due to make his Holy Communion the same day but he had to miss it to attend our wedding. However Fr Boland let him make it during our service which was great. “It’s something that we can always share with Jude now. The new Mr and Mrs Paul and Kelly Given celebrate with their bridal party. Hair stylist/salon: Toni and Orlaith Kelly at Enchanted Hair and Beauty. 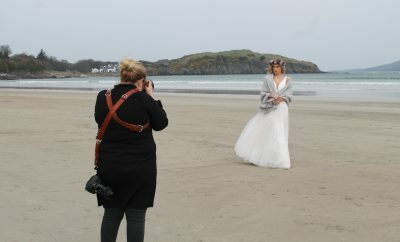 Make-up: Toni and Orlaith Kelly at Enchanted Hair and Beauty. Head piece/ Veil: Perfect Day, Lurgan. Bridesmaid dresses: House of CB. 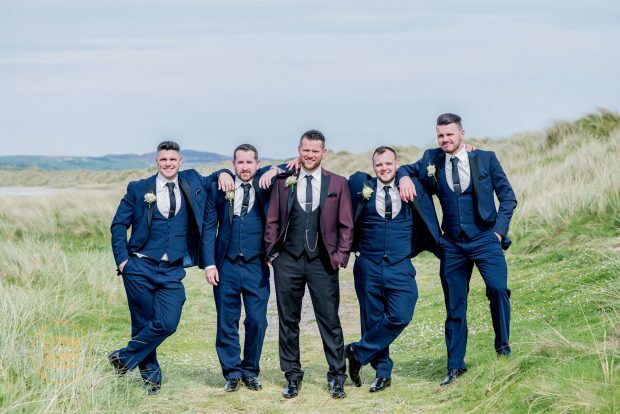 Groom’s/groomsmen’s suits: Tommorows Bridal Rooms, Derry. Cake supplier: Sheila, aunt of groom. Cake design: Three-tiered, and round. Church: Church of the Immaculate Conception, Strabane. 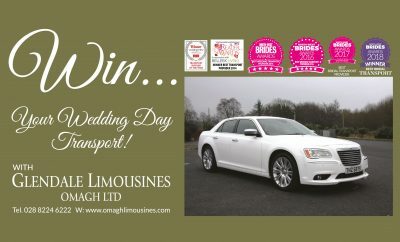 Bridal party transport: Hummer from 3D Limos, Derry. Reception: Ballyliffin Lodge and Spa, Ballyliffin. Number of guests at reception: 242. First dance song: ‘The One’ by Kodaline. Other entertainment: Barry McGowan, who drew a very funny caricature of the newlyweds and their bridal party. Honeymoon: Spain for four days after the wedding. Newlyweds also going on a Caribbean cruise in the autumn for 12 nights.